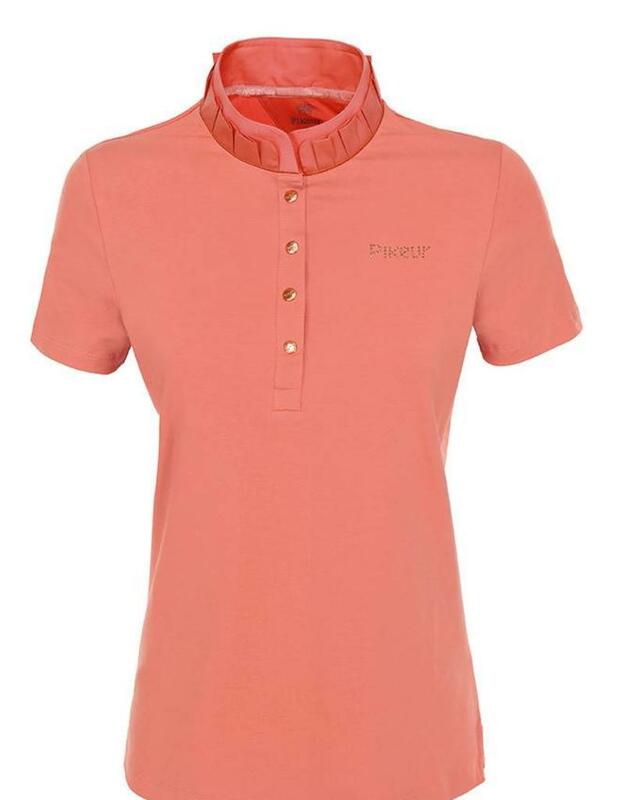 Fashionable ladies polo shirt made of bi-elastic cotton fabric, very comfortable to wear. 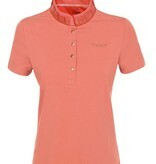 With double stand-up collar, outer collar slightly gathered. With Lurex-piping around outside of neck opening. With decorative press-buttons in rosegold. 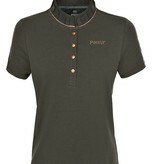 With Pikeur-stud-label on the left chest and Pikeur-crown-studs-emblem on the back. Material: 95% cotton, 5% elasthane. 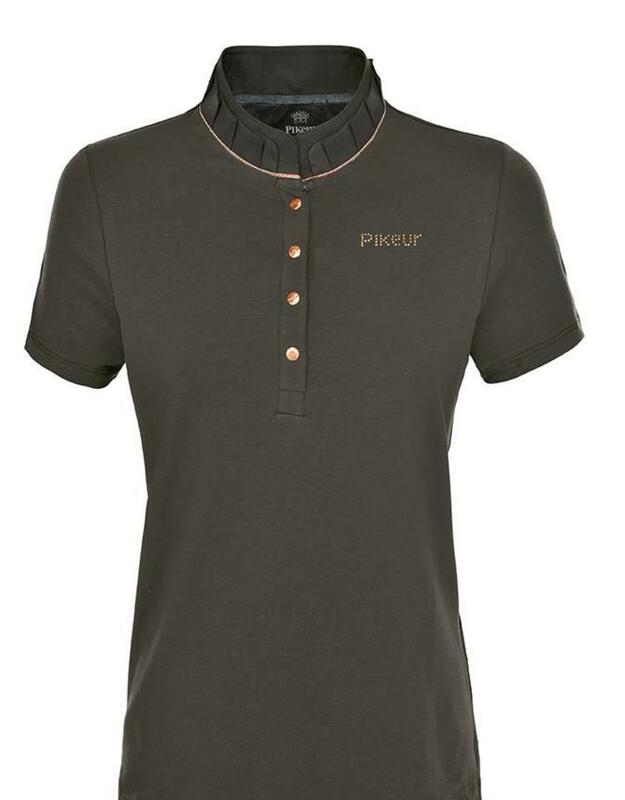 From the new PREMIUM COLLECTION summer 2018 from Pikeur.